Are you looking for hotel managers that welcome guests with dedication and enthusiasm in the centre of Riccione by the sea? The hotel management is what makes the difference! Then Hotel Mon Pays is the place for you. The hotel has been run by the Pozzi family since 1965 and for 3 generations it has guaranteed guests top level hospitality. Raffaella and Daniela’s smiles and friendliness will make you feel welcome in our hotel as they are always available to ensure that your holiday is ideal and enjoyable. Year after year the Pozzi family has pampered guests in comfortable, relaxing surroundings, ensuring that our guests’ holidays are memorable. Word of mouth ensures that today, forty years on, the new generation of the Pozzi family continues to provide top hospitality. A convenient location for your holiday: choose Mon Pays and you’ll be in a really central location right on the Viale Dante promenade and shopping street, close to the beach and to the Riccione Conference Centre. 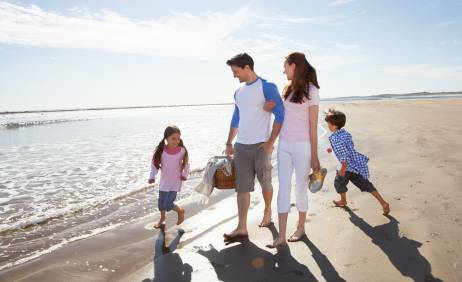 Being in the centre of Riccione is ideal whether you are travelling as a couple or with your family. Leave your car in our private car park with no worries and discover that everything is at hand: the beach, shops, and trendy bars and restaurants. From here you can easily reach any place you want to go to. Cycle round Riccione on one of our bikes, dive into the waves at Beach 99, which is equipped with every possible facility from a gym to a mini club with weekly entertainment for children. Mon Pays has been refurbished and offers elegant, cosy surroundings. Take a seat and relax in our modern hall with its American style bar and garden veranda. Your family holiday in Riccione has never been so relaxing! Hotel Mon Pays is also designed to welcome families with children. The Pozzi family understands children and parents’ needs well, which is why you will find a series of facilities and services dedicated to you. Ask for a quote for your holiday!